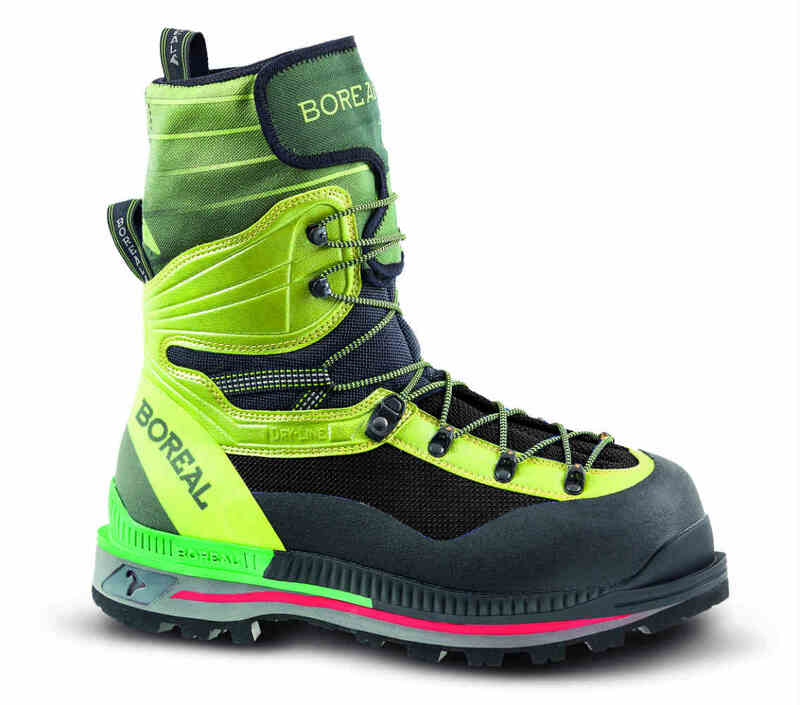 The Boreal G1 Lite is truly a modern classic for winter alpine ascents and 7000m peaks. 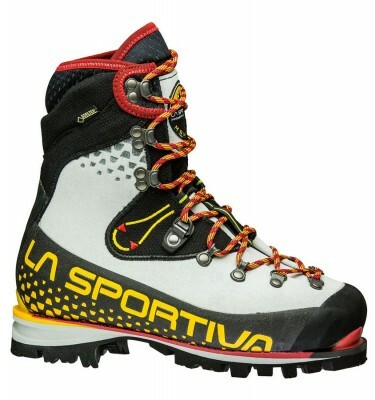 A very warm and comfortable boot designed for prolonged cold high altitude and winter alpine ascents. 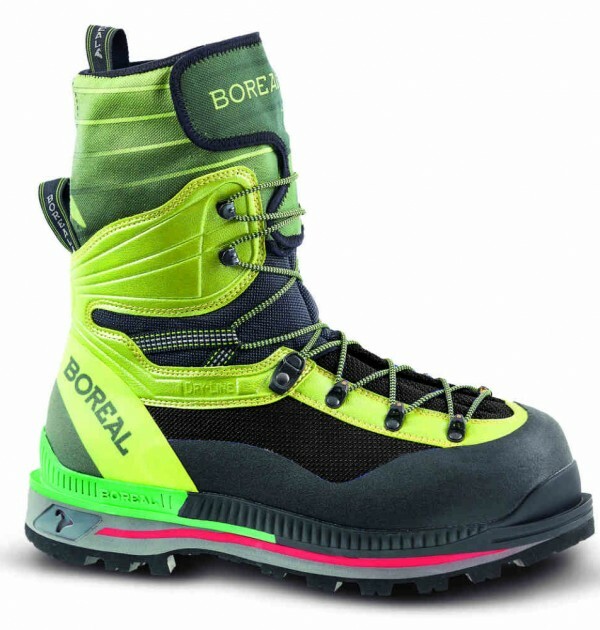 SKU: 47449 G1 Lite Categories: High Altitude Boots, Mountaineering Boots Brands: Boreal. 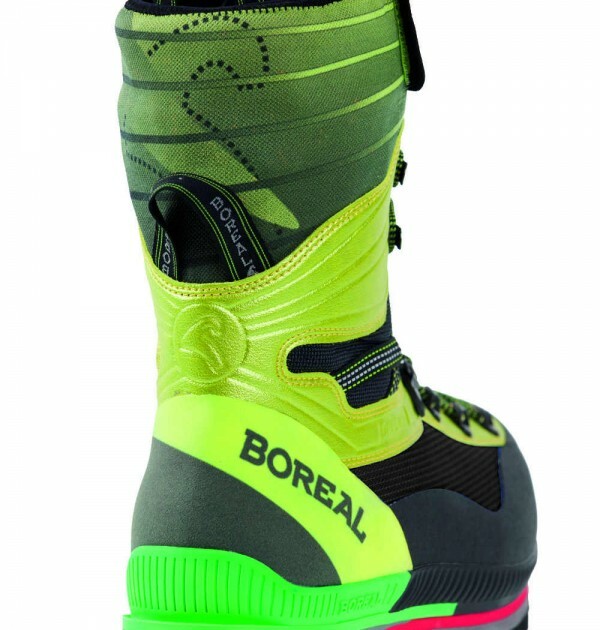 The Boreal G1 Lite is up there as one of the warmest and flexible double boots on the market today. 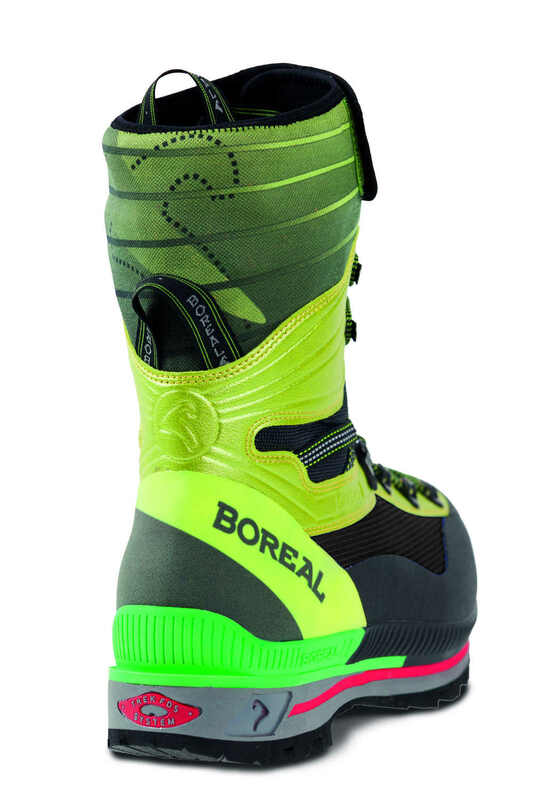 The Boreal G1 Lite boot has been a popular choice for years here at Adventure Peaks for clients and customers who are off to the greater ranges, including Aconcagua, Mera and Island Peak and the vast majority of peaks up to 7000m. 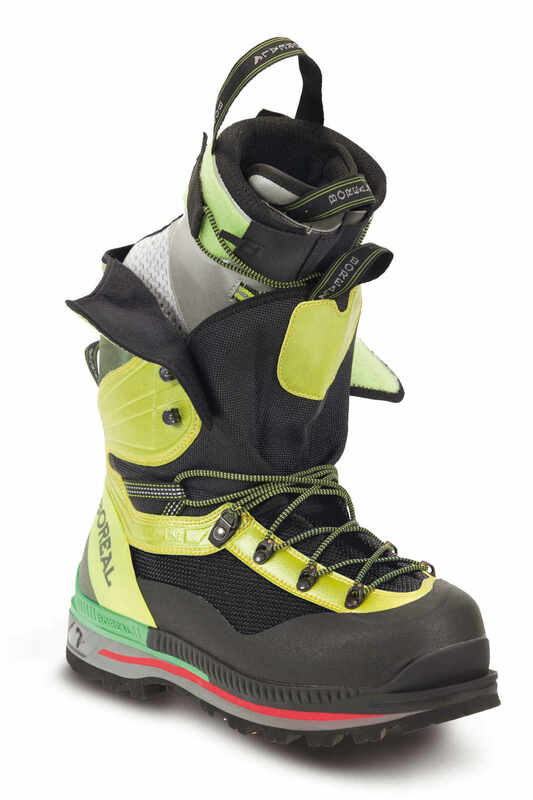 The upper is made from lightweight synthetic textiles and unlike plastic shelled boots it is soft and articulated making it much more comfortable to wear. A soft elasticated snow cuff fits snugly around the leg to keep the snow out. 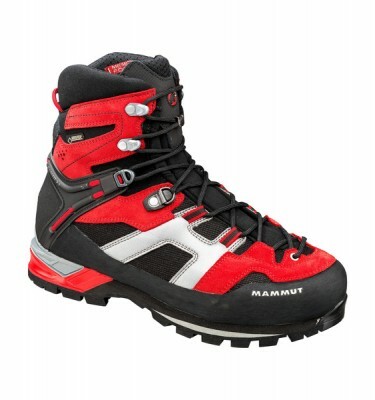 Inside the upper is lined with a tough and waterproof breathable Cordura reinforced laminate. Sandwiched between these layers is 6mm of EVA foam for superb thermal insulation and the new synthetic rand material is lighter and warmer than rubber and won’t perish in the high U.V light conditions found at high altitude. 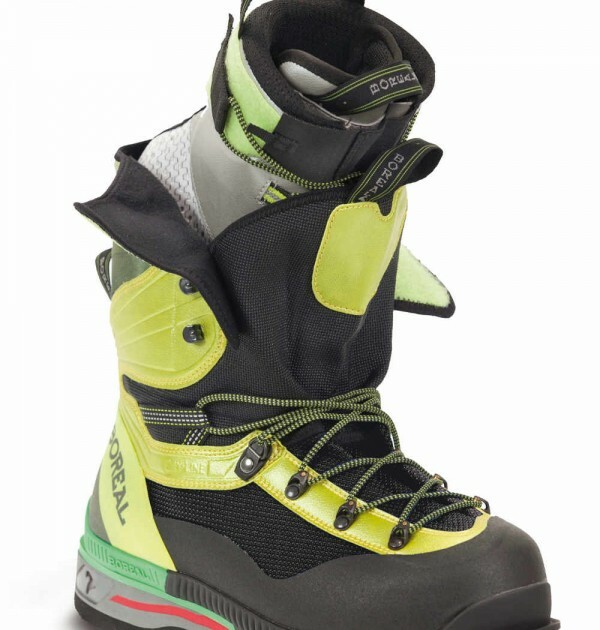 The all new inner bootie is made from a very lightweight and extremely warm triple layer laminate material comprising of an outer polyurethane layer, heat reflecting aluminum film and an inner layer of insulating EVA foam. Triple Thinsulate™ layers fully surround the foot providing yet more insulation with no cold spots and a fully waterproof breathable Boreal Dry-Line® lining guarantees to keep your feet dry. The ‘Tanka’ and strap closure is easy to use and is adjustable around the instep area for a custom fit. G1 Lite is fully compatible with automatic crampons and uses dual density crampon lugs, hard at the rear for a secure fit and soft at the front for reducing vibration when frontpointing on bullet hard ice. The advanced carbon composite midsole is rigid, yet incredibly lightweight and ample underfoot cushioning is provided by dual density shock absorbing PU and EVA layers. Finally, our choice of a deeply lugged Vibram® Teton outsole will help keep you upright on the approach.